Peter J. Beshar serves as the Executive Vice President and General Counsel of the Marsh & McLennan Companies. MMC, which has 60,000 employees worldwide and a market capitalization over $35 billion, operates through four leading brands: Marsh, Mercer, Guy Carpenter and Oliver Wyman. Mr. Beshar supervises the Company’s Legal, Compliance, Government Relations and Risk Management Departments. Prior to joining Marsh & McLennan in 2004, Mr. Beshar was a litigation partner at Gibson, Dunn & Crutcher LLP where he served as Co-Chair of the firm’s Securities Litigation Group. 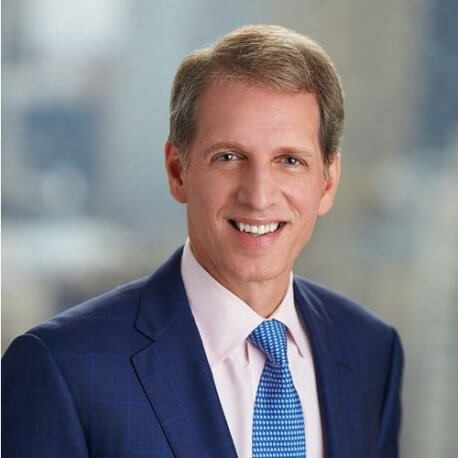 Mr. Beshar joined Gibson Dunn in 1995 after serving as the Assistant Attorney General in charge of the New York State Attorney General’s Task Force on Illegal Firearms. In 1992 and 1993, Mr. Beshar served as the Special Assistant to the Honorable Cyrus Vance in connection with the United Nations’ peace negotiations in the former Yugoslavia. Mr. Beshar is the recipient of the Business Leadership Award from the Citizens Union of New York, the Burton Award for Leadership in the Law, and the Law and Society Award from New York Lawyers for the Public Interest. In 2015, Mr. Beshar was appointed by President Obama as a trustee of the Woodrow Wilson Center for International Scholars in Washington and by Governor Cuomo as a director of the Empire State Development Corporation. Mr. Beshar serves as a Trustee and Chair of the Veterans’ Committee of John Jay College for Criminal Justice and is a board member of the Jackson Institute for Global Affairs at Yale University. Mr. Beshar was selected as a David Rockefeller Fellow by the Partnership for the City of New York. Mr. Beshar has testified multiple times before Congress on topics ranging from cybersecurity to terrorism. Mr. Beshar graduated from Yale University and Harvard Law School.